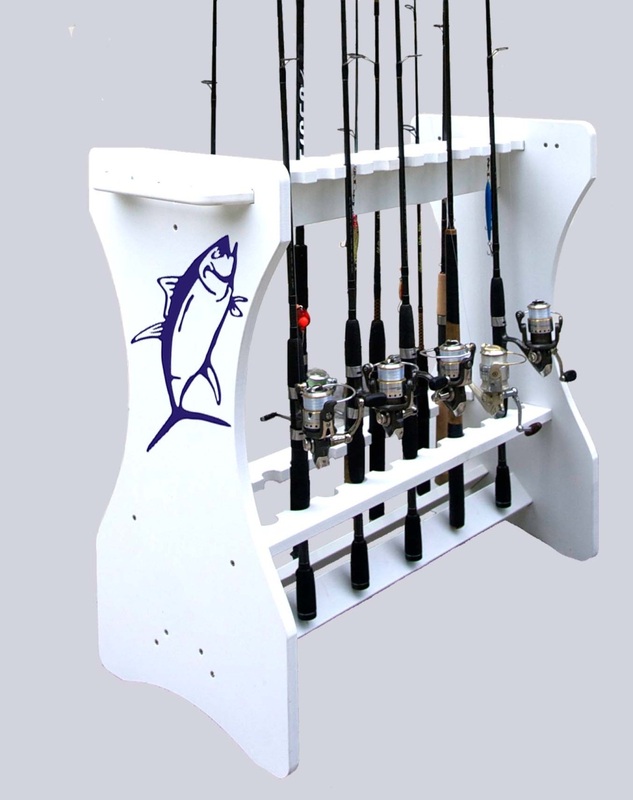 These Beautiful Rod Racks are made of PVC Composite and the fasteners are Stainless Steel. While being very attractive they can be put in your house as well as outside. They can be bleached or pressure washed and will look new for years and years. They come with a 25 year warranty. You can select any of the designs listed or you can order it plain, your choice. Message for gift givers. If your special person has asked for any of the following, items we have that special gift. Rod Racks are also known as Fishing Pole Holders, Fishing Pool Racks, Rod and Reel Racks, Home Rod Holder, Dock Rod Holder, and or Garage Rod Holder, Check outour Rod Racks. Large Rod Rack holds 24 Rods. These Beautiful Rod Racks are made of PVC Composite and the fasteners are Stainless Steel. While being very attractive they can be put in your house as well as outside. They can be bleached or pressure washed and will look new for years and years. They come with a 25 year warranty. You can select any of the designs listed or you can order it plain, your choice. The Large Rod rack holds 24 poles. 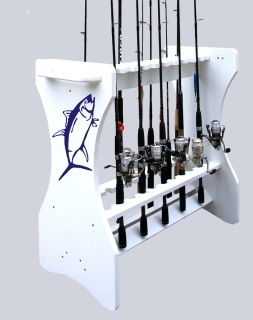 WE WILL CONTACT YOU ONCE YOU PLACE THE ORDER TO SEE HOW YOU WOULD LIKE TO RECEIVE YOUR ROD RACK. We offer, Free Shipping, or FREE DELIVERY ( within Palm Beach and Martin County), or Pick up at our retail store in Juno Beach.